Written & recorded in 1978 by Moon Martin, This is a genius piece of writing with music that simply cuts through the background and sears itself into consciousness. It was Robert Palmer who, a year later, got into the American record charts with a recording of this song. That is the recording of this tune that most of us are most familiar with. I'm fond of the older, Ballad Rock, and this is one of those pieces that I have always found reverberates deep in my mind. So, today, I decided to try recording a cover of an old rock number and this is the one I chose. It is done acoustically so, naturally, it sounds different but then what would be the point in recording a cover that sounds like the original? It is a bit slower. This is in part because I tend to play music slower to give the listener more time to pay attention to the words. Besides, I like it this way. 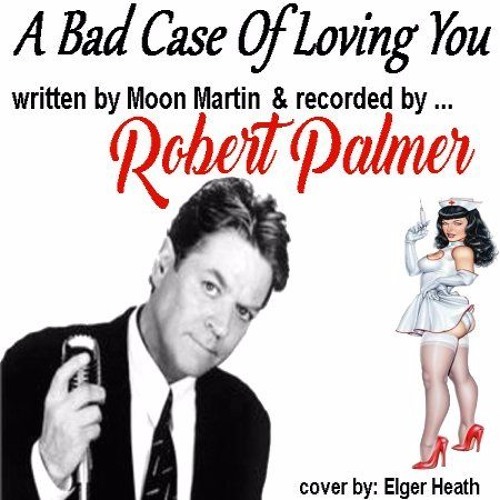 I hope that you will enjoy this cover of “Bad Case Of Loving You”.